All new boilers installed by RJS Heating come with a minimum of 5 years warranty as standard and, with some boilers, up to 10 years. This length of boiler cover means added peace of mind and, in the unlikely event of a boiler breakdown, parts, labour and call-out fees are all covered. As an accredited Vaillant installer, we can provide a free 10-year warranty on all new Vaillant ecoTEC condensing combination boilers and controls that we install. We can provide a free 5-year warranty on all new Potterton boilers and controls that we install. We can provide a free 5-year warranty on all new Ferroli boilers and controls that we install. 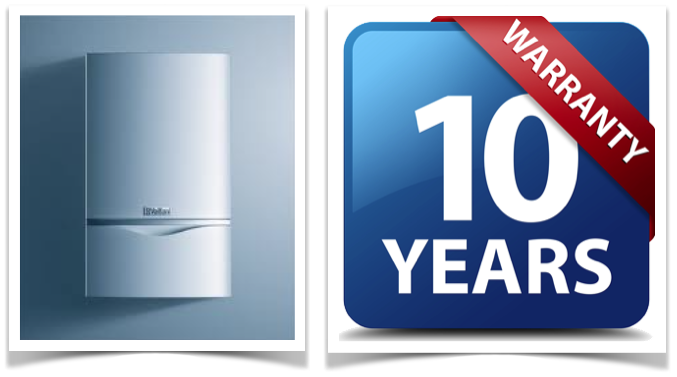 We can provide up to a 10-year warranty on new Baxi boilers and controls that we install.